Fulltime Families Traveling Mercies Branch are rolling up their sleeves to help out Global Aid Network (GAiN) at their Lancaster location and everyone is invited to join them as they spend the week volunteering. In the heart of Pennsylvania Dutch Country, PA Dutch Campground offers amenities like a swimming pool and playground that are perfect for families. When you aren’t volunteering you can explore the local area which is wonderful for sightseeing and shopping, including handcrafted woodwork, quilts and pottery. What is a Meet up? Meetups are smaller, more interest focused events vs our Hang out and Rallies and as such will not contain all the same sessions as a rally. They will still have plenty of fun and time to meet new friends and connect with old but with out a formalized schedule and multiple planned events. This particular meet up‘s focus is the volunteer opportunity and attendees will be requested to volunteer on Tuesday and then can pick as many other days and times for volunteering as they would like. Additionally GAiN will be providing lunch and snacks to those volunteering during the week. Global Aid Network® (GAiN®) expresses the kindness of Jesus to people living in the toughest places on earth by relieving suffering, restoring dignity, and revealing hope. We accomplish our mission, in partnership with international Cru ministries, through three programs: food and agriculture, clean water, and critical aid. Our partners at Cru work in more than 191 countries in the world. Over the course of 25 years of ministry, GAiN has leveraged strategic global partnerships and the service of dedicated volunteers to relieve suffering for people through humanitarian assistance. Do you I need to be a Christian to volunteer or in the Traveling Mercies Branch? No, while this event is being hosted by Traveling Mercies Branch, all are welcome to attend and volunteer. You do not need to be a member of Traveling Mercies to attend this event. GAiN welcomes volunteers from all backgrounds. What kind of tasks will I be doing? There are opportunities of all kinds such as packing clothing into boxes, school supplies, sewing, etc. If you are willing to help they will find a job that you can do! Yes! This is a wonderful opportunities for families to serve together. We have had children as young as 5 serve in the past. I have small children and can not leave them alone, how can I help out? 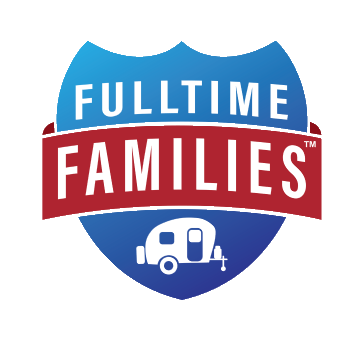 We are working with GAiN to see if there are opportunities to serve while in the campground with certain tasks. I have to work part of the day, can I still volunteer? Step 1: Register for the event, price is per person attending. You need to be a member in order to join this event. To reserve a site, if you are a Thousand trails member, please book through their website. There is no nightly charge for Thousand Trails members. The rate for non members is $49.00 per night and the reservation number is 888-551-9102. We are recommending members plan to arrive on Sunday June 16, 2019 and depart on Sunday June 23, 2019. Once you Register, feel free to join the Facebook Group for the 2019 Traveling Mercies GAiN Volunteer PA Meet Up. Want to see Videos from past Rallies? Check out our YouTube Channel for videos from other attendees. What are the cancellation policies for this event? Cancel before April 16, 2019 for a full refund of rally fees with $10 cancellation fee. Cancel between April 17, 2019 – May 16, 2019 for a 50% refund. Cancellations after May 17, 2019 will not be refunded. Please refer to the host campground regarding their refund policy. 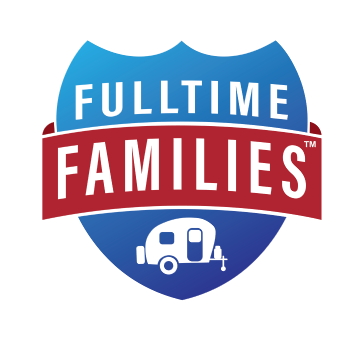 Fulltime Families has no control over campground refunds.